I am loving this combo! 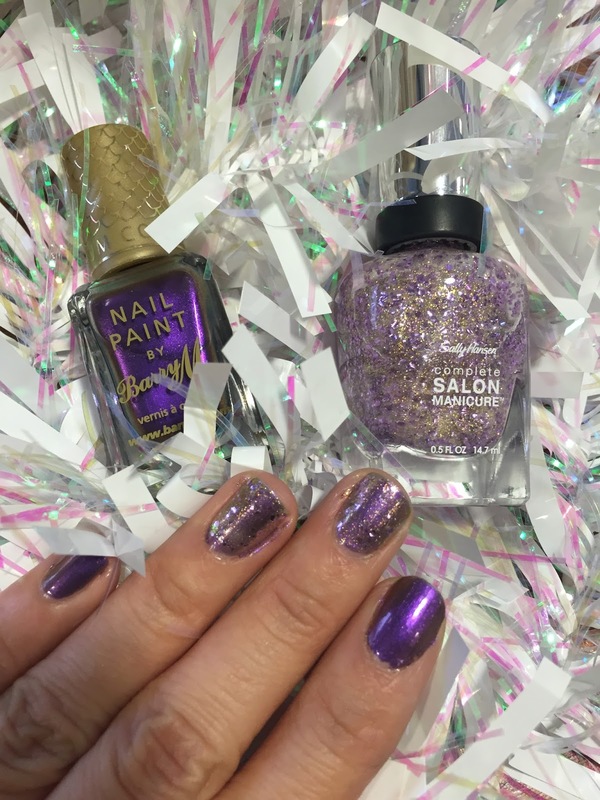 Barry M Aquarium Collection in no 7 Persian and Sally Hansen no 706 Glitter Bomb. Persian is a duo chrome metallic purple. The purple changes under different light. 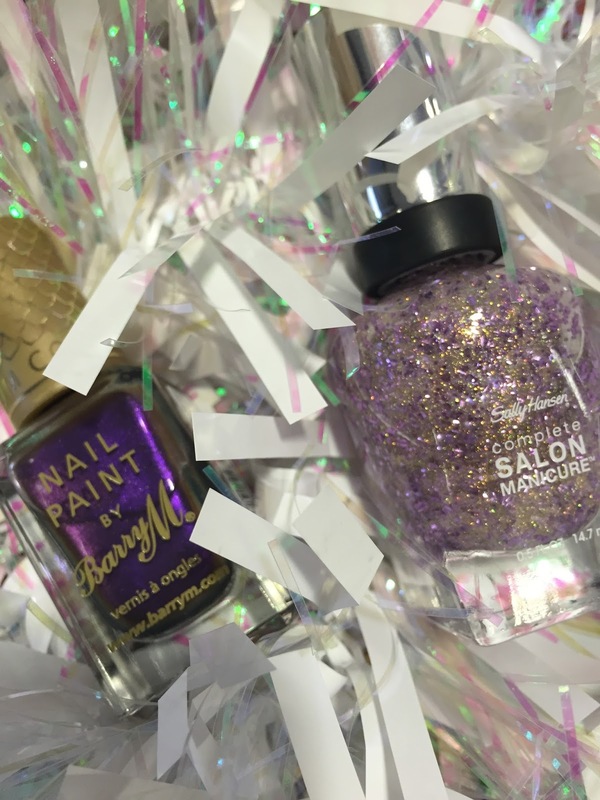 Glitter Bomb, what an appropriate name for this festive time of the year! 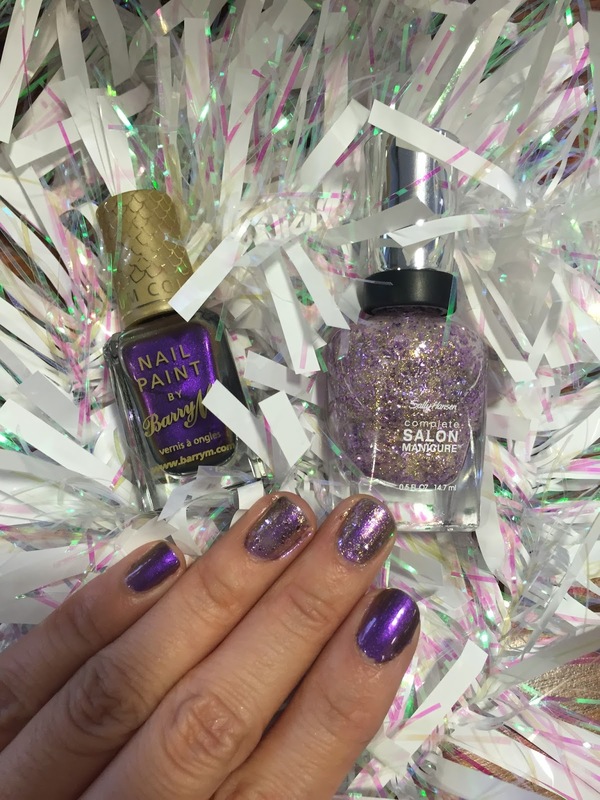 It's a fine gold shimmer base with pale purple glitter pieces. Two coats will give the full effect even you don't wear any colour base. In this photo, I have one coat of Persian as base colour and one coat of Glitter Bomb on top.